I have been living on Lower Matecumbe In the Florida Keys for 20 years. I moved here from New Jersey. I have been an avid fisherman since the age of 3, and when it was time to decide where to live my adult life, I new It had to have fishing all year long and it had to have palm trees!!! The Keys was the answer for me. I have been very fortunate to meet fish with and befriend some of the greatest fisherman in the Keys. Through those years I have had some truly amazing fishing experiences. I was always the one who had to have a photo of the catch, so when the digital SLR camera came out, I decided I wanted to seriously capture the most incredible moments and split seconds our beautiful planet has to offer. And what an amazing adventure it has been and continues to be. In todays world of fast paced digital information it is very rewarding to have someone stop and appreciate my work. My photographic goal is to have the viewer feel as if they could step right into the scene, or show them something they have never seen before. I have traveled extensively in Fiji, the Caribbean, Costa Rica and many other incredible locations on our planet. My work can be seen on Royal Caribbean Cruise Ships, Fishing Publications, Tourist development projects, and in some of the finest homes and businesses in the Keys and throughout our globe. I am also a contributor to Saltwater Sportsman Magazine. 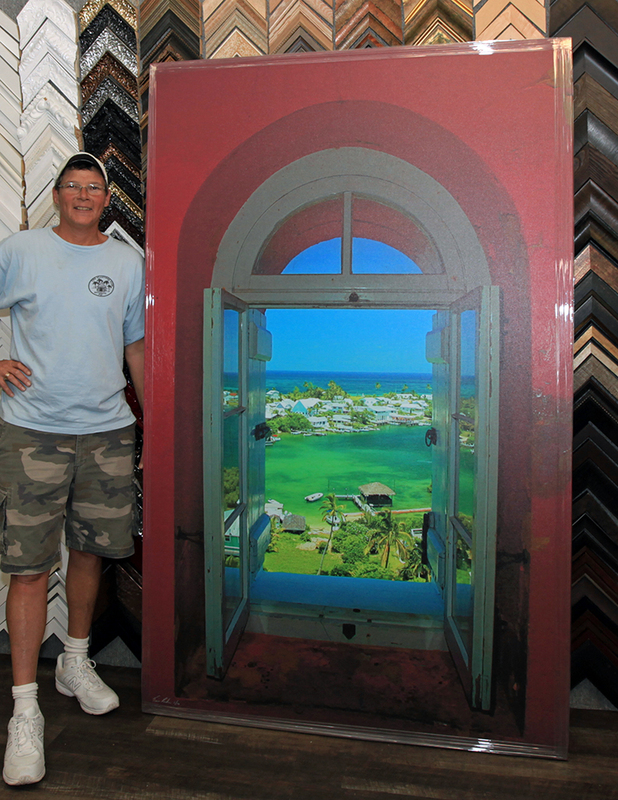 My large work can be seen in Island Décor mm 92 in Tavernier, Ocean Gardens in Islamorada, and the place I call home, my new shop on the Dock at Robbie's mm 77 Lower Matecube Key . My customers are the ones who start the large canvas editions and then I will make a small limited quantity usually 10. (so start yours today.) I have been doing some great metallic acrylic pieces and am always looking for a new format in which to print my work. Capturing life's most incredible moments one frame at a time.